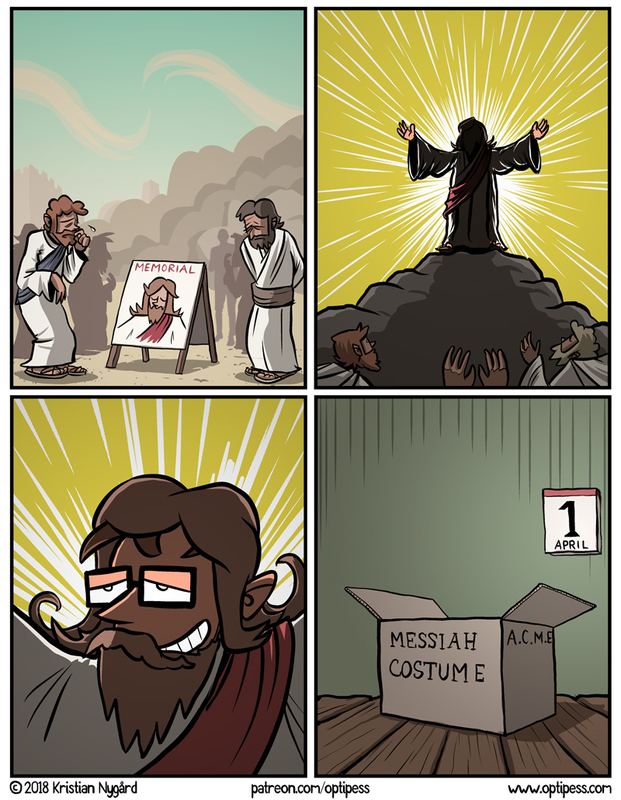 The disciples are also wearing Messiah costume? Or is the lighting part of the costume? You just solved one of the great hoaxes of our time. This will probably earn you the Nobel Peace prize. Well done.